Friends, this is my small initiative to help eradicate hunger and malnutrition from the world. 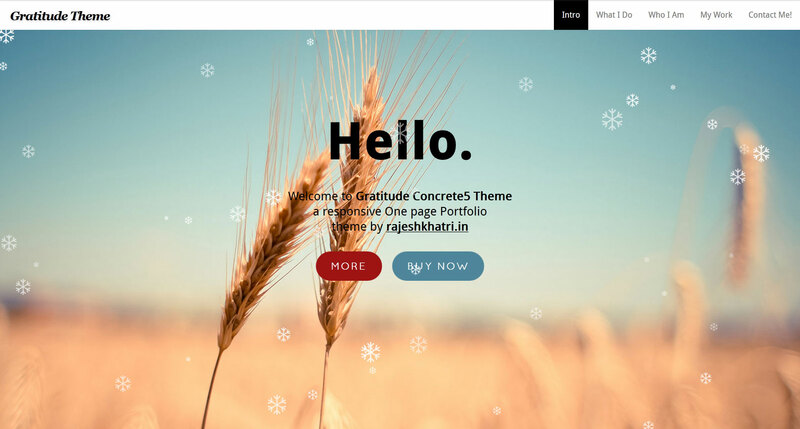 Every earning from these themes will be donated to charity (World Vision India) to feed the impoverished. Be a part of this revolution and MAKE A DIFFERENCE by purchasing this theme. Your help can bring a smile, who too deserve to sleep with a full stomach like you and me. Surprise your Techy friend with this Wonderful Christmas Snow Fall Greetings with New Technology instead of Old Flash Animation. Below Are the Custom Attribute which you can manage seprately on each page.